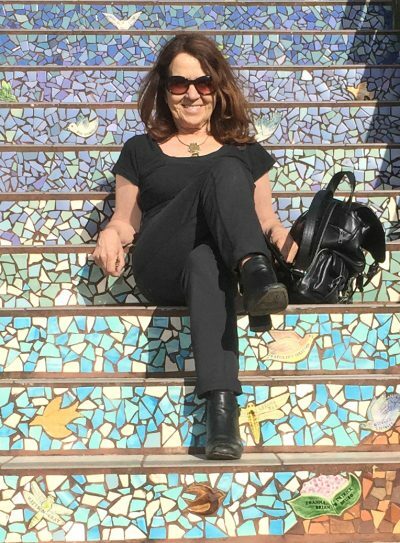 Lorraine is a San Francisco resident with 10+ years of experience as a bilingual tour guide. Her expertise includes leading local tours of San Francisco and the surrounding Bay Area: Muir Woods, Wine Country, Silicon Valley and Stanford University. Tours last from 4 hours to 1+ days depending upon the client’s interest. Her clients include Luxury World Class travelers, Diplomats, Executives, Technology Professionals, Interactive Groups as well as small intimate groups of travelers and families. Multiple modes of transportation can be provided according to the client’s preference. These can include luxury bus, limousine, SUV, cruise ships, helicopter or walking tours. Lorraine can also arrange transportation from airport to hotel.